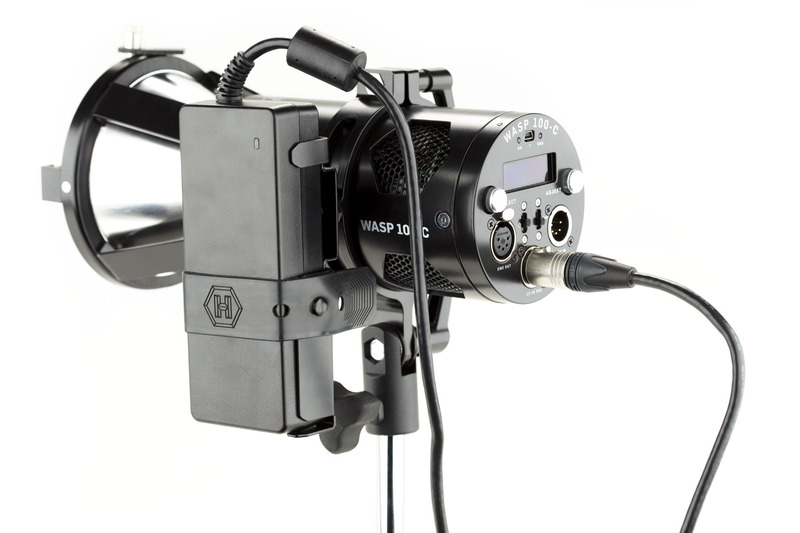 Wasp 100-C™ is also a practical and affordable solution that offers the highest color quality and highest output LED for all levels of production. 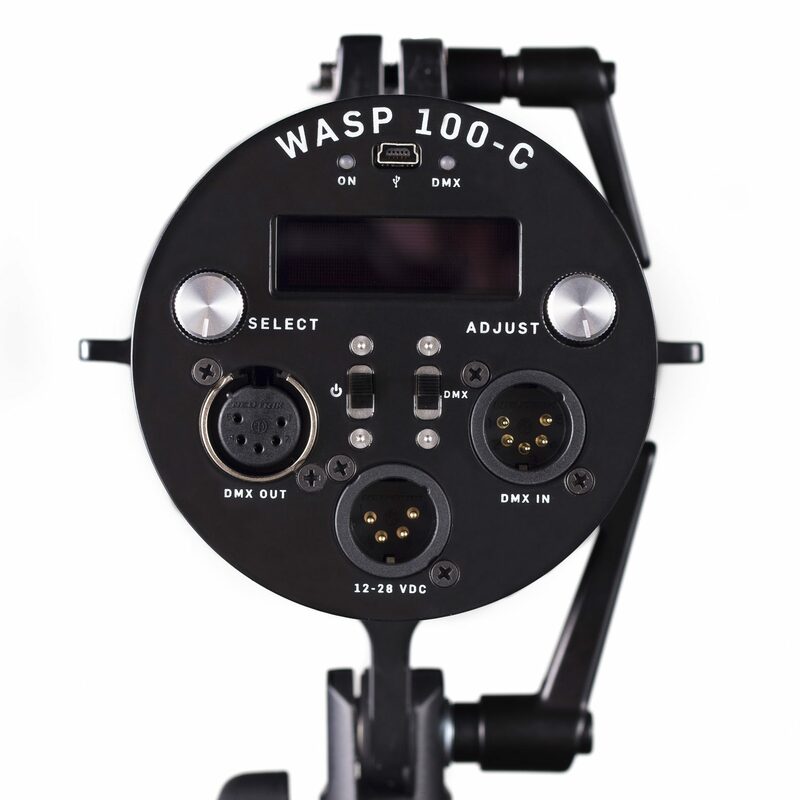 The Wasp 100-C is the Swiss-Army-Knife of entertainment lighting. Using Hive’s Perfect S.H.O.T. 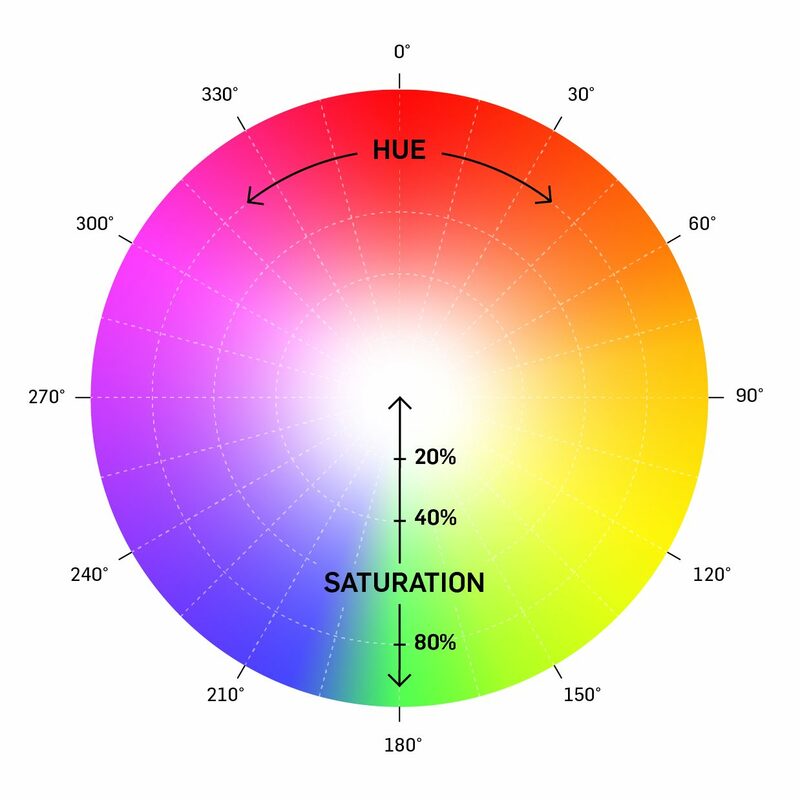 system, easily adjust color and output to match any lighting condition. Omni-Color LED technology makes sure you’ll see perfect color rendition with it’s full spectrum light up to a 98 CRI/97 TLCI. Only using 75 watts to produce Light output comparable to a 400-750 watt incandescent, The 100-C can run off a battery or universal wall power, weighs just 2.5 lbs, and is compatible with hundreds of accessories. 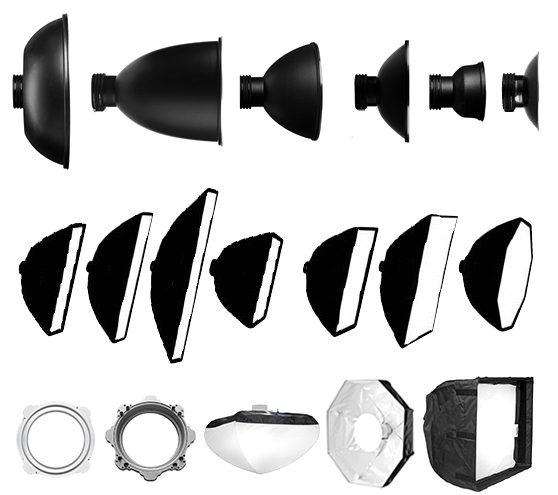 Hive’s Par and Super Spot Reflectors increase output and allow the mounting of common accessories (5” and 9.5” respectively) including speed rings, barn doors, and lenses from a variety of suppliers. Adjustable Fresnels and Leko attachments are also available.